Manchester, UK – 14th July, 2017: TouchStar Technologies PLC, specialist in the design, supply and support of rugged mobile computers, has announced the release of the TS3200 tablet mobile computer. The cradle’s revolutionary magnetic dock and lock system facilitates one-handed docking, locking and rapid removal in landscape or portrait orientation. Once docked, the TS3200 becomes the nerve centre of in-cab operations with minimal dashboard clutter and maximum driver visibility. Going mobile is effortless due to the lightweight, ergonomic shape and 7” glare-proof screen. Operational in even the harshest environments, the TS3200’s IP65 rating provides full protection against dust, water and oil ingress. It is fully compliant with the ATEX IECEx directive, allowing safe use in potentially explosive environments, such as fuel distribution. The unit can also withstand drops of up to 1.5m on to concrete and operate in temperatures of -20o C to +50o C, marking it as the most rugged terminal in its class. 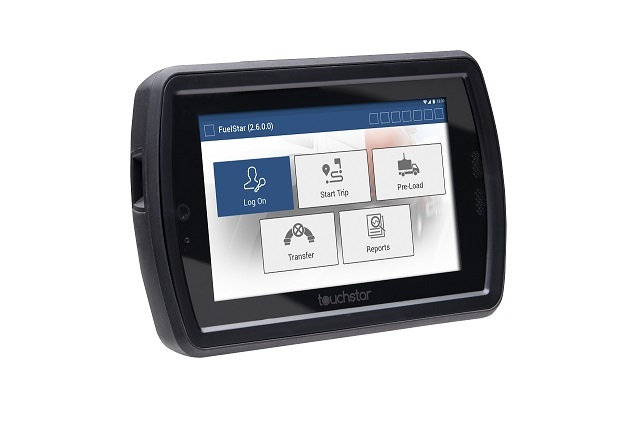 The TS3200 runs on Android 6.0.1, with additional features including front and rear-facing cameras, a high specification barcode imager and 3G, Wi-Fi and Bluetooth communication systems.